You are here: Home / Blog / E-mail Hygiene / Do i have your permission to send email? All Internet Service Providers (ISPs) have different thresholds for spam complaints, but a .01% spam complaint rate can easily get you blacklisted. ISPs like AOL, Gmail, Yahoo, Hotmail, and others, will no longer accept and deliver your marketing emails, meaning you will not be able to send to subscribers at those ISPs. Because your sender reputation is attached to your IP address, it is incredibly difficult to get removed from a blacklist without changing Email Service Providers and setting up new IP addresses. Rather than obsess about what to do if you get blacklisted, be on the offensive by implementing email list maintenance best practices. Don’t get marked as a spammer by always having permission, and ensuring the subscribers you send emails to remember when they gave you permission to email them. Are you sending to a purchased list? Just because someone has opted-in to some email list does not mean they have opted-in to yours. If you purchase an email list of 500,000 emails, you now have a list of 500,000 emails that have not given you permission. Every one of these addresses has the potential to report you. All it takes is a handful of complaints to get you blacklisted from sending to an ISP. Don’t purchase lists. Has every subscriber on your list opted in? The easiest and most obvious way to make sure you always have permission is to always have permission. Every subscriber on your email list should have opted in recently by specifically indicating he/she wants to receive content from you. (If you haven’t mailed to the list in over 6 months, check this post out.) If you have a list of people who have not given you permission to add them to your email marketing list, for example your Gmail contacts, you can reach out personally and ask them to subscribe to your mailing list. Never start blasting them with email. 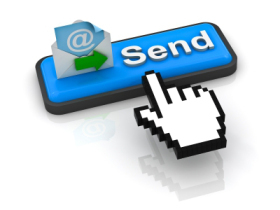 Doing this significantly increases your risk for spam complaints. Have subscribers opted in at least twice? While this isn’t required, it is a highly recommended best practice. Using a double opt-in during your on-boarding process ensures that people who have subscribed to your mailing list actually want you to send email to them. This also helps prevent bad emails from entering your database. Provide subscribers with a form to sign up for your email newsletter, and then follow up with an email asking them to “click on the link” to verify their subscription. MailChimp can help you with setting up a double opt-in here. Are you in the subscribers’ address books? During the double opt-in process and throughout your email campaigns, you should ask customers to add your email to their address book. Not only does this secure further confirmation that they want your content, but, more importantly, ISPs love when subscribers add you to their address book. Proactively doing this helps curb spam complaints and maintain a good sender reputation. Even properly collected email lists have the potential of going stale in 3-6 months. People change email addresses, pass away, and leave inboxes unattended. Email addresses can turn into spam traps when there is no activity for long periods of time. An email list can also go stale when you don’t send to it for a long period of time. If you send email to reconfirm campaign, you are asking for permission from people who have already requested your content. This is very important to do if you have been collecting an email address over the past few years and have yet to mail to it. Oftentimes, mailing to an old list will get you immediately blocked by your ESP. Have you had your email list cleaned recently? Frequent cleaning, at least every 3 months, is one of the best practices to maintain your sender reputation. Without regular email list maintenance, an email can bounce a few times and remain on your list. People who have a history of complaining may be on your list as well, increasing the risk of your mail being reported as spam. If you don’t have a double opt-in process yet, there could be bad addresses on your list simply due to people providing wrong information, intentionally or accidentally. And what about those addresses with inboxes left unattended? If you are a MailChimp customer, Email Assurance is a set-it-and-forget-it way to always stay in compliance. Emails identified as historical complainers, frequent opt-outs, historical bounces, and invalid, are automatically removed from your email lists in MailChimp. Thanks a lot !!! Your post helps me a lot to understand website traffic and am looking forward more from you. This is a very good blog comment post. Much thanks for these notices. Email rehab: Revamping your sender score reputation Black Friday Email Marketing Stats and Suggestions.